Welcome to Edward Massey Books! We have had five years with Edward Massey Books and this website. My books, the books that interest me, the lives my books lead, and the way books lead my life are still the are still the topics. When first I started this website, I wrote, “With breath and luck, we can expect more books.” Four years of breath and hard work, mingled with the luck of having everyone hang in there with me (wife, friends, publisher) brought a new book that will be published April 17, 2019. 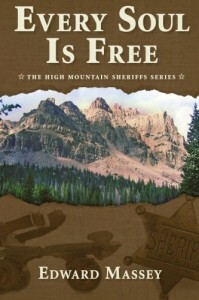 My publisher, Five Star, has made my third novel available on Amazon.com for pre-publication order in both hardcover and e-book. The publication date is April 17, 2019. Order now. The publisher has sent advance readers’ copies for review, as so have I. If you have a desire to review it or a suggestion for a review, please e-mail me and I will send an ARC. 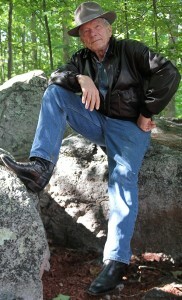 My second novel is available at Amazon.com, and B&N.com. The e-book is also available for Kindle, iPad, and Android users. Android users should make sure they have the Android Kindle app installed, and then browse to Amazon and download the book. Joe Nocera found my story in February, 2019 and wrote me an e-mail. A great article ensued, published on Bloomberg. 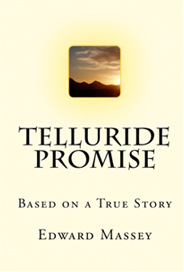 Go to the Telluride Promise page on this website. My first novel is available on Amazon and Kindle. I had hoped that we would find together the news and information that accumulates in a conversation, one that might occur in a bookstore, a signing, an event, or over a meal or a drink. It is still my goal. Let’s give it a renewed effort. For each of my books, a partially structured guide to our conversations and discussions will emerge as more of our community join in. To start, a little comment on each book, something of an introduction but by no means designed to be a summary. Discussion topics: Questions that bring together various groups because of their mutual interests, not just because they are a book group. Some background notes on each book – and they may or may not have anything to do with the story you read in the book. It starts with a biographical sketch I still don’t know how to write. It’s a skill I hope to develop and I am honestly asking for your suggestions. It will also include a little collection of notes about what I’m doing as a writer. You will notice these notes change from time to time, not because what I’m doing changes so much, but my ability to see and to describe what I am doing sure does. A dangerous subject to introduce into our conversation. It has to be there. edwardmasseybooks has a history of three. 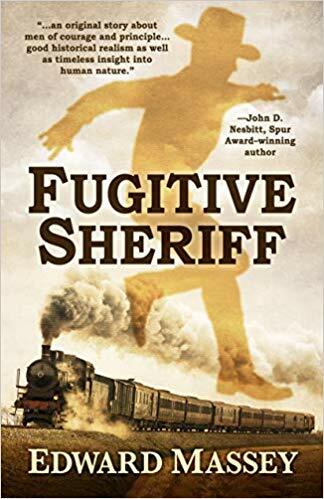 I have one out to the publisher on submission, and I hope to be able to announce it by the coming publication date of Fugitive Sheriff. At the moment (February, 2019) I am in the throes of deciding whether to go back to a finished but unpublished novel or to start a new one. Your opinion is always welcome. Whatever the next one is, I’m not going to do much talking about it until it is finished. It may not be sold, but once it is finished I will want to talk a lot about it with you. That may be a while because for right now I am trying to learn how to create a career and sell my books! That eats into the attention, effort, and time for writing the next one. I originally mentioned the blog as the big competitor to my daily writing. That was a giant overstatement of my blogging commitment. It did not compete because I did not put in the effort and time. I have two serious blogging friends and they put as much effort and time into their blog as I put into my novels. Currently, I am skeptical about my blogging capacity, but I remain optimistic that it could give you a forum and as much space as you want. Good intentions lead me to promise I will post to it, frequently and regularly. We’ll see. If I do, perhaps I will persuade you to take advantage of the forum and write what interests you, even if it is not about the books and the writing. All of the modern, social media are there and I am renewed in my resolve to become competent. Until then, the tried and true method of just exchanging e-mails and letters will always work. On this page, and at each book, there are links to allow you to get in touch with your preferred bookseller and buy the books.